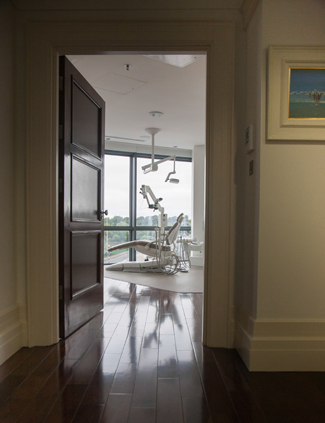 The Riverpoint Specialist Dental Clinic is a multi-disciplinary referral centre offering specialist dental services in Endodontics, Prosthodontics, Periodontics, Implant Dentistry, Oral Surgery and Paediatric Dentistry. 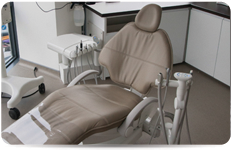 The option of treatment under inhalation or intra-venous sedation is also provided. All of our dental team has completed at least three years of full-time post-graduate training, comprising both clinical and research components, and provided within fully accredited centres of dental education. 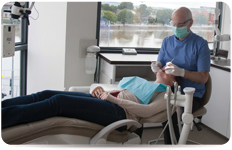 By providing a wide range of specialist dental services under one roof, we hope to make the process of accessing and coordinating specialist treatments smoother and more convenient for our referring practitioners and their patients. We all feel that a successful referral practice is based on an open and transparent relationship with the referring practitioners and view assisting our colleagues as the priority of the Riverpoint Specialist Dental Clinic. We are there to help you wherever we can with your cases and will work closely with you to provide the best care possible for your patients. Before treatment starts, throughout treatment and afterwards where appropriate, we will always communicate with you in a timely fashion and will return your patients to your care when treatment is complete. Many patients with complex problems would beneﬁt from the input of a number of specialists in the clinic. Where this is the case, patients will only be charged one consult fee and we will always contact you in advance to make sure you are happy for us to arrange a multidisciplinary consultation. All patients will be referred back to their referring general practitioner on completion of their agreed treatment plan. We are also happy to work with you as the patient’s general dentist if you wish to be involved in any aspect of the treatment plan: for example restoration of implants, extraction of teeth etc. We acknowledge that these are challenging economic times and so we have tried to keep our prices as affordable as possible. Wherever we can, we will try to work with patients to make high quality treatment available at an acceptable price. Please see our services for more information about the treatments we offer.